You can reshape a Bezier curve velocity using the Function view controls. 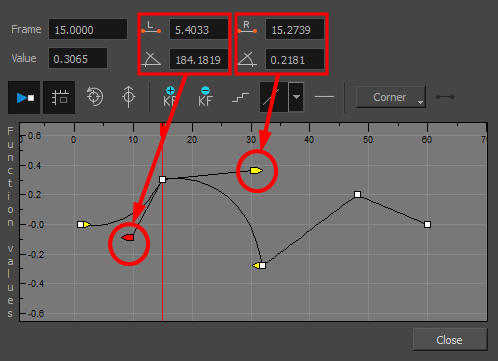 In the Function view, select a keyframe. Drag the controls to modify the shape of the curve. You can reshape the function using the Bézier controls. Straight: Lets you move the handles together, maintaining the same angle to the point. Corner: Lets you move the handles independently. Smooth: Lets you move the handles together, maintaining the same distance and angle to the point.